tl;dr: Play games (from 20th-century systems) and post your times! Once more we've reached a new year, and with that it's time to move from the old thread to the new. We're now in the eighth season of our gameplay tracker, and still going strong, but new members are always welcome: the more the merrier, quite literally! The basic idea is to post what games you played during each week, and for how long. You don't have to time it down to the minute (though some of us do), and estimates are acceptable. Then, at the end of the week, the statskeeper (that's me) totals everything up and we find out which games and platforms are seeing the most action. Each week, we have top 10 lists for consoles/computers and for individual games. 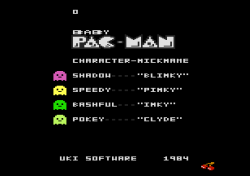 We also have a separate top 10 list for games released on platforms that predate the US release of the NES (i.e. roughly the tail end of 1985). 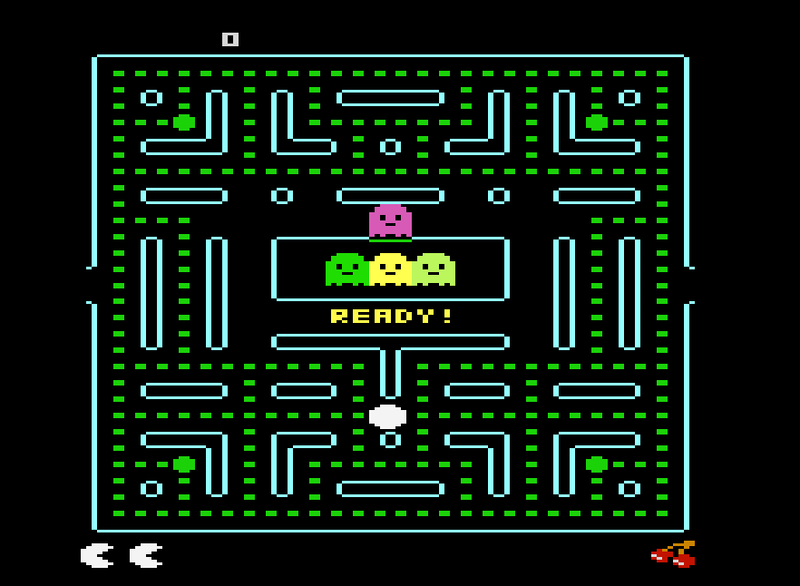 That way, arcade-style vintage gaming doesn't get totally lost in the shuffle of RPGs, collectathons, and other games that take 10+ hours to complete. However, in 2014 the #1 game by a mile (and for the fifth year in a row) was Kaboom, the quintessential old-school VCS game, so the old consoles (and computers!) are more than holding their own. 1. Be sure to list the system, the name of the game, and the length of time you play. 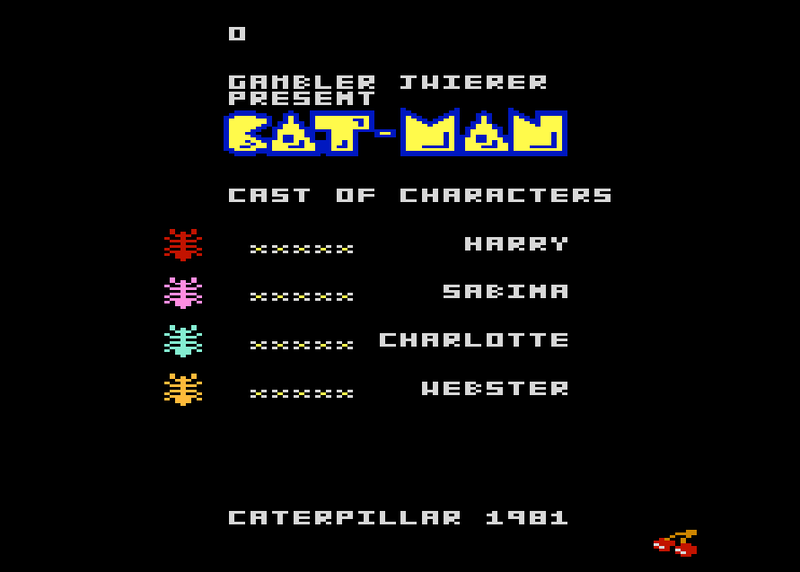 Please note if the game has any alternate titles by which it's better known (i.e. Air Sea Battle vs. Target Fun). If you list multiple games, please group them by system. If you play on a backwards-compatible system, e.g. 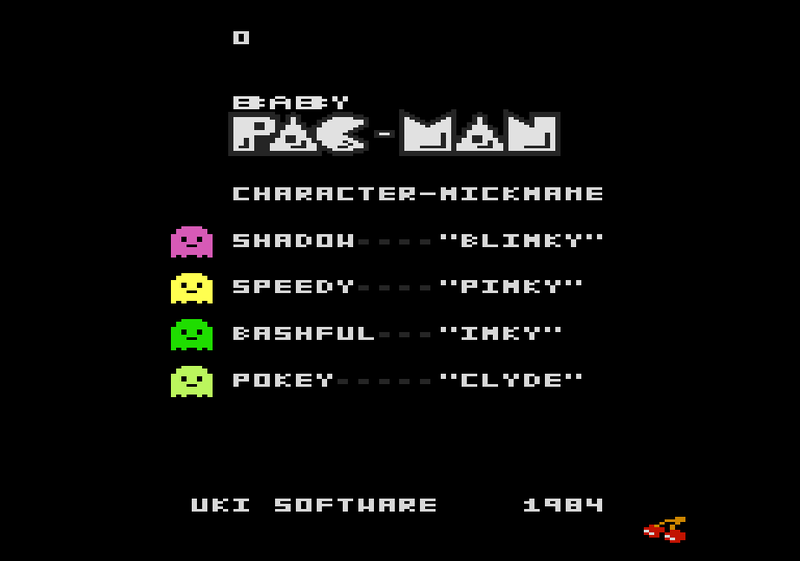 Atari 2600 games on the 7800 or SMS games on the Genesis, the game should be listed under the older platform's name. 2. Each week runs Monday through Sunday (at midnight), except the first and last week of the year. The deadline for posting stats is now 3:00 PM (EST) on Monday to allow for different time zones. 3. Playing on actual vintage hardware is preferred, although emulators are certainly allowed. 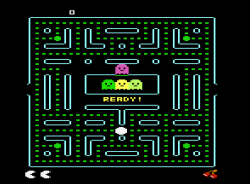 In some cases (homebrews in development, rare arcade games) there's no alternative to using an emulator. 4. Our cutoff year is 2000. That is, eligible consoles and computers have to have been released (in the US) before 2000. This includes Dreamcast and N64, but excludes the most recent systems like PlayStation 2, XBox, GameCube, Game Boy Advance, et al. You're welcome to mention gameplay on those systems, but as of now they won't be added to the tracker. The same goes for computers: we count Windows 95 and 98 games, but not XP; Mac OS 9, but not OS X; and so on. 6. You don't just have to post a bare list of times -- comments, stories, gripes, and helpful hints are always encouraged! If you're struggling with a level, got a new high score, or have some thoughts about what's great or what stinks about a particular game...well, that's the kind of stuff that makes this fun to read. - If you post a big list of games, please consider alphabetizing them first (after grouping them by platform). - Posting your times in minutes, rather than hours + minutes, makes things a little simpler. - Even if you don't know the exact time, it's better to post a specific number and say it's an estimate. If you say you posted a bunch of games for "between 20 minutes and an hour", I'll just average everything out to 40 minutes, but it'd be better to have a sense of which games you played more and which ones you played less. - If there's room for confusion or ambiguity, please address that in advance so I don't have to research it myself. Non-US releases, homebrews in progress, alternate titles, and expanded re-releases can get especially tricky. That about covers it. I've just posted the summary for 2014 (starting here), including the all-time top games, so those who like stats are welcome to check that out. If you haven't participated before, or if you did and got busy with other things, consider taking part in 2015! You may find that it has some interesting side effects -- I've found that keeping a log dramatically changes how I think about my own gaming, and mostly for the better. It's largely historical: back in 2010 the decision was made to expand the tracker to include post-crash systems, and 2000 was the cutoff year that ended up getting picked. In some ways it's arbitrary, but I think it also makes sense. A lot of people have said the Dreamcast was the last console to really try to "bring the arcade experience home", and I think that makes it a good place to stop. I find myself playing less PS2/Xbox/Gamecube because they don't get tracker in this thread. When I'm not play a modern games, like Mechwarrior Online, I like to play something that I can list for this tracker. Edited by twoquickcapri, Thu Jan 1, 2015 11:03 PM. I think Dreamcast is still a good cutoff. I agree. There are other circumstances where the DC also is considered the last of the retro gaming systems, perhaps due to its short lifespan. Personally I'm not affected, as except for PC's and the non-qualifying PSP, the newest system I own is a SNES. Let me start with some gameplay times. Not trying to be first here, hehe... Just not really any time for gaming in the next few days. But I did fiddle around in Stella a little to try out how paddle games are handled with the touchpad. The answer is: badly. High score of the week: I don't know. It was a bad half of a week for playing. Thanks to carlsson, who sent me a few 5 1/4'' disks full of games, I was finally able to test the 1551 floppy disk drive I picked up with my Commodore Plus4. It works like a charm! More gameplay to come. I'm not yet through all the games . Motor Mania - 17 min. Dragon Attack - 11 min. Fruit Search - 14 min. Jumping Jack - 5 min. Super Cobra - 19 min. Up Up Balloon - 5 min. Word Maze - 34 min. Mower Mania - 8 min. Quest for Tires - 9 min. I noticed I had not played on my Sord M5 for more than a year, so I brought it out for some gaming. At the same time, I started a hardware project to adapt 1-2 otherwise discarded PC compatible joypads to be used on this system. I found out that typical PS/2 keyboard/mouse cables only contain four wires despite the connector has 6 pins, so until I have received a set of new mini-DIN connectors, I was only able to make a proof of concept implementation with three directions and no fire button. 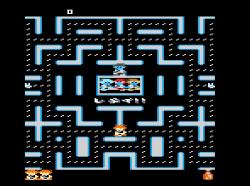 Quest for Tires on the VIC-20 is an old BASIC game made by a German back in the days when it was more important to have gameplay similar to the big games, rather than have it visually looking as close as possible. Decent effort, but not very playable in the long run. I've only played one game which isn't eligible for the Top 10... Castaway II, the sequel to Castaway. Compared to the prequel, the 3D isometric view has been switched to a 2D view similar to Legend of Zelda. The purpose of the game is to conquer an island consisting of about 100 areas full of evil creatures who attack the player and his pet and get stronger and stronger, but so does the player and his pet while they level up. There's the usual collection, buying and selling and crafting of various items. 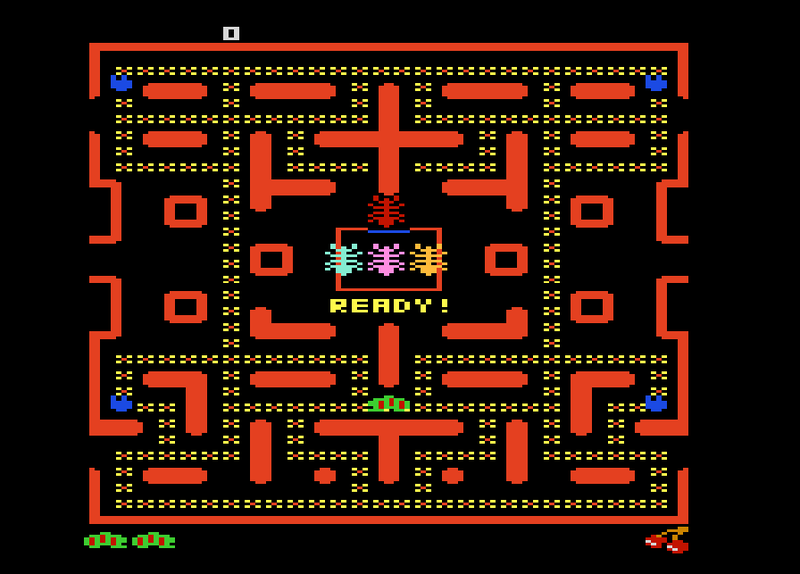 Ms. Pac-Man [TENGEN] - 230 minutes in several sessions. Check out my gameplay videos presented below. I'm going to join in on the fun this year. Colossal Cave Adventure - 325 min. The Chessmaster - 30 min. Last Action Hero - 5 min. Rackets & Rivals - 14 min. Beat Colossal Cave Adventure with my wife. We did resort to peeking at a walkthrough when we got stuck near the very end, but as so often happens, most of what we had yet to do were things we'd already considered and even done. The solution to the other remaining puzzle was one of those suicidal-sounding courses of action that we certainly would've tried just for laughs, if we could've restored from a saved game -- but since we couldn't, we didn't. Otherwise I beat lower difficulties in The Chessmaster (Level 3) and Tennis (Level 1), and won a match in the rather dreadful Rackets & Rivals. Here's the summary for the short Week 1, running from January 1 - 4. We logged 1994 minutes of eligible play, playing 51 games on a total of 11 systems. Good numbers despite the short week! Ultimately survival horror title Resident Evil 3 takes the top spot, while ancient text adventure Colossal Cave Adventure takes the pre-NES charts. Odd statistical anomaly: every chart has a tie for #9-10. Chopper Rescue - 7 min. Planet Defender - 8 min. Sonic Invader - 6 min. Comic Bakery - 8 min. Star Blazer - 3 min. Super Boy II - 8 min. Girl's Garden - 7 min. Star Jacker - 16 min. Fourth Encounter - 12 min. Mobile Attack - 15 min. This week I finally figured out how to write single sided floppy disks for my Philips VG-8235/00 MSX2 computer to read. One of those days I'll finish modding the drive to accept double sided disks, but for the moment 360K is enough. 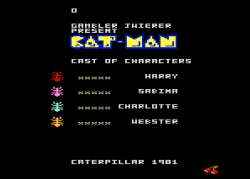 It allowed me to soft load a bunch of MSX cartridge ROMs and disk images. 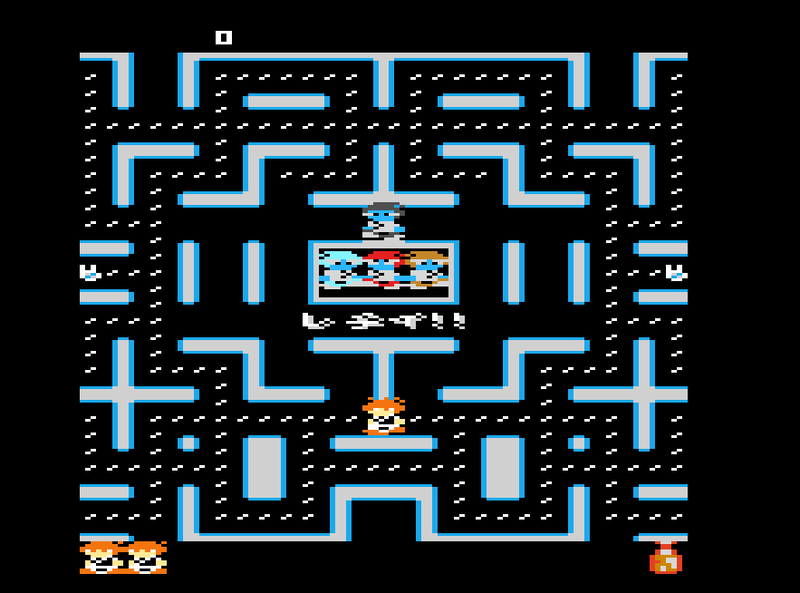 It also allowed me to try out the SG-1000 to MSX converter/emulator, a short piece of code released by a Japanese earlier in 2014. As you might know, the two systems are somewhat similar in terms of CPU and graphics, but have different sound chips, inputs, memory maps etc. While I was not able to load every single SG-1000 ROM into the MSX, at least some of the ones I tried worked surprisingly well. There are some sound issues in the conversion between TI 76489 PSG and GI AY-3-8910, but it is a minor issue. I'm quite sure there could be a tool to soft load ColecoVision or Sord M5 ROMs into a MSX too, although those might require the inclusion of a BIOS ROM to be called. Just testing stuff I got sent in a lot. The interesting stuff in that low were a couple of manuals for other Genesis/MD games I was missing to complete some games I already had. 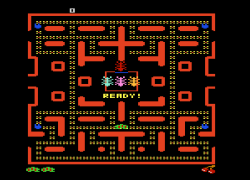 Ms. Pac-Man (Tengen) - 34 minutes. Check out my last videos which I uploaded. Carnival - 22 minutes. Check out my Carnival gameplay video - at the end you will see the hidden message when the score is rolled (100,000 points).